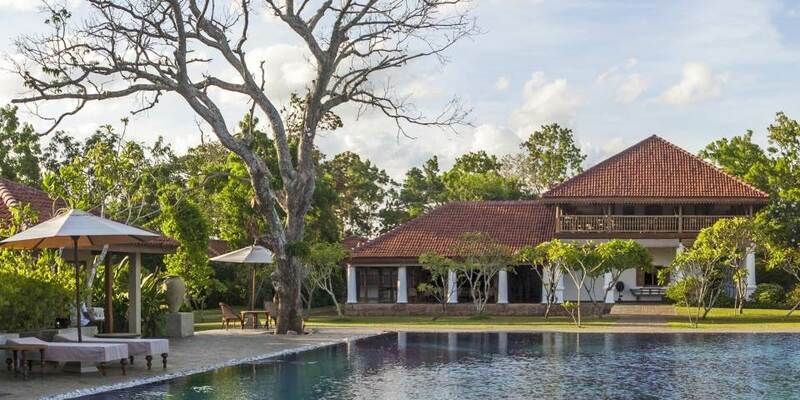 Just 20 kilometres from the ancient capital city of Anuradhapura and next to the hamlet of Thirappane, Ulagalla is a retreat, hidden away in the heart of the cultural triangle. 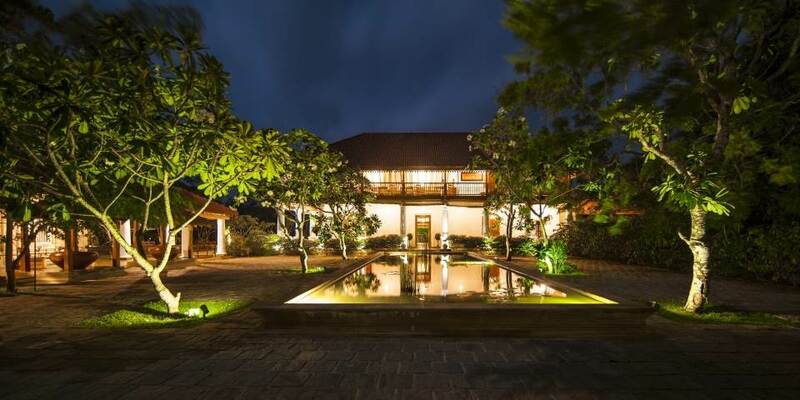 Once a walawwa or grand ancestral home it has now been lovingly restored and is now the only luxury boutique property that offers such close proximity to the ancient capitals of Sri Lanka. It is easily accessible from Colombo by road or rail, but for a truly luxurious mode of transport, the resort may also be reached by helicopter. There is a restaurant on the top floor of the main house with splendid views over the swimming pool, where meals can be served at any time, but at Ulagalla guests may decide when, where and what they want to eat, so each meal becomes a special experience, with dinner served in many different venues; in the Paddy field, poolside or in the wine cellar. The emphasis is on choice and whether it is haute cuisine, spicy rice and curry or a simple salad – everything is prepared from the freshest of ingredients: from fruit and vegetables grown in the farm garden, to rice threshed from their own fields. Each of the chalets comes with bicycles, just perfect for exploring the 58 acres of varied terrain on which the resort is built. Venture further to Anuradhapura and take a leisurely guided cycle tour along lake bunds, through paddy fields and rural villages to see large Stupa, temples, ancient ponds and other ruins in this first capital city of Sri Lanka. Those who prefer to walk will delight in a nature walk around the resort, conducted by a qualified nature guide, guests may be lucky enough to see some of the 70 varieties of birds including peacock, kingfisher or eagle. Experienced riders may wish to journey on horseback on one of the two magnificent horses or for the less experienced, the pony will oblige at a gentle trot. For those who take their leisure in more sedate form, the expansive main pool is perfect to relax in. There is chess for those who wish to keep their minds alert or read up on history and nature from the books in the library or simply soak up the sun on a deck chair all day. 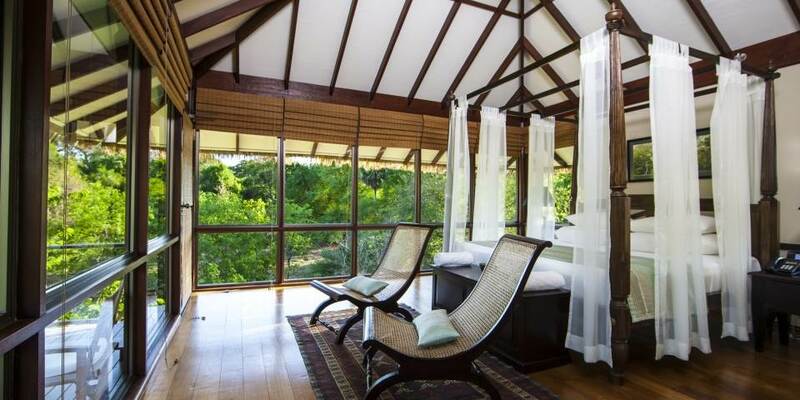 The spa is just waiting for those seeking indulgent pampering. Screened from the world it is built to resemble an underground cavern of perfect tranquillity, where a simple massage or beauty treatments with help with rejuvenation. At Ulagalla leisure in myriad forms is yours in which to partake; whether you seek the pleasures of outdoors, the charms of indoors, or seek to venture on discoveries further afield. 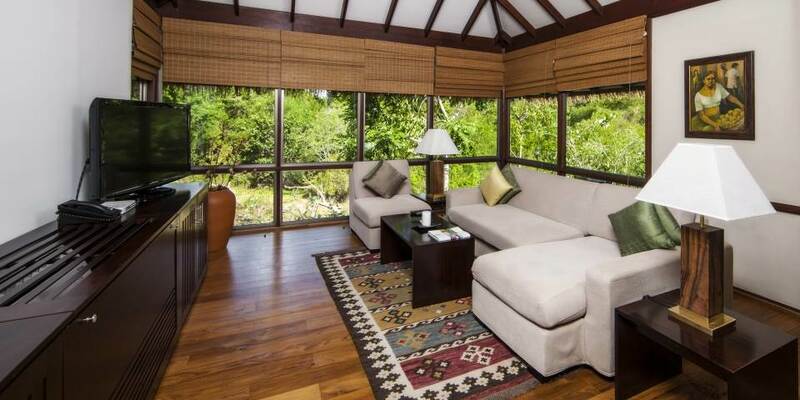 Duringthe development of the resort, protecting the surrounding environment took precedence. Not a single tree was cut down and all construction – in strict accordance with Green policies, took place on already utilized land. 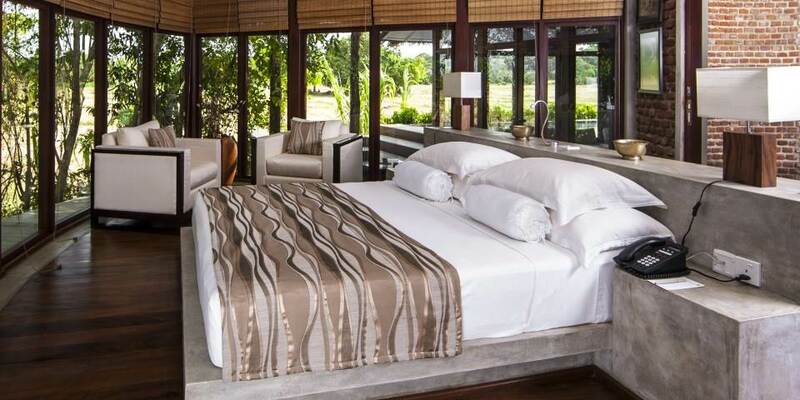 In creating the ‘Lifestyle’ within, from its inception, Ulagalla Resorts also introduced practices to minimize environmental impacts and conserve biodiversity in its environs with the emphasis on sustainability, energy conservation and water management. Each of the 20 “chalets” or individual villas is a sanctuary in which to hide from the cares of the world surrounded by beauty and waited on hand and foot. 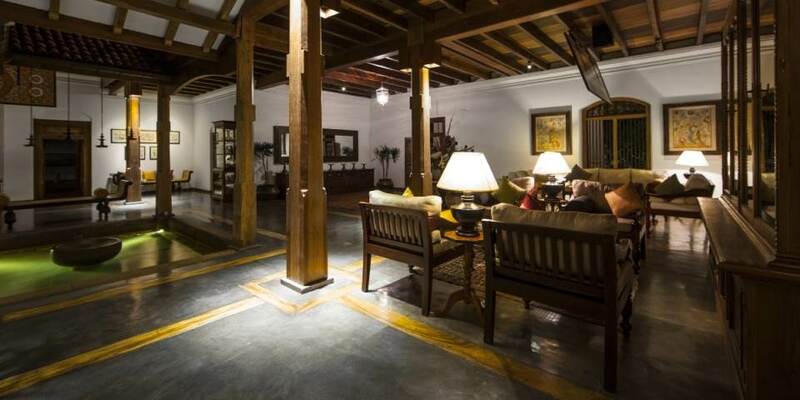 The spacious interior has a sitting room, bedroom and luxurious bathroom , equipped with the finest linen, soft sofas, king size beds and cool wooden floors .Huge picture windows give views to the paddy fields, forest or lake. Outsideis another story; there, surrounded by nothing but nature is a private pool and sun deck, a refuge in which to lounge all day with only the birds as company. 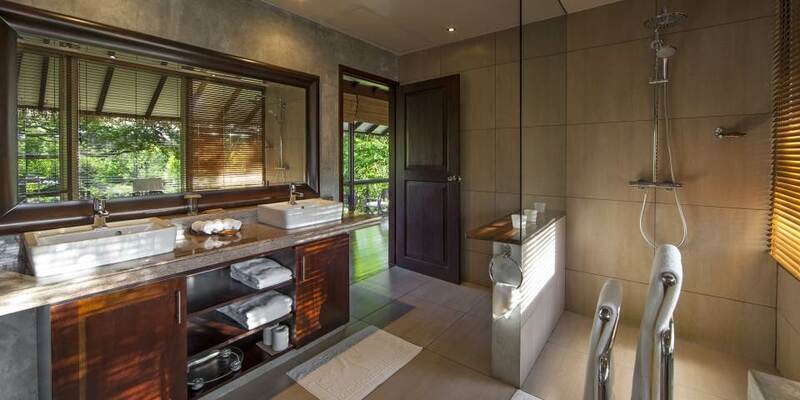 The Nikaweva Suite, perfect for a family or friends travelling together is the ultimate in privacy and luxury. 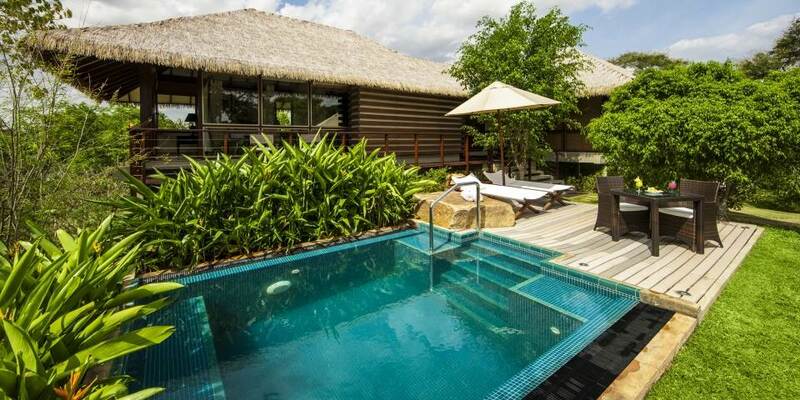 With two luxurious bedrooms and bathrooms it is set away from the other chalets and has a magnificent swimming pool with tranquil views across the paddy field.